Thank you to Pushkin Press for sending me a copy of this book in exchange for an honest review. When Max Friedman's mother dies of cancer, instead of facing his loss, he imagines that her tumour has taken up residence in his brain. It's a terrible tenant - isolating him from family, distracting him in school, and taunton him mercilessly about his manhood. With the tumour in charge, Max implodes, slipping farther and farther away from reality. Finally, Max is sent to the artsy, off-beat Baldwin School to regain his footing. He joins a group of theatre misfits in a steam-punk production of Hamlet where he becomes friends with Fish, a girl with pink hair and a troubled past, and The Monk, an edgy upperclassman who refuses to let go of the things he loves. For a while, Max almost feels happy. But his tumour is always lurking in the wings - until one night it knocks him down and Max is forced to face the truth, not just about the tumour, but about how hard it is to let go of the past. Having read a lot of YA Fantasy in the past few weeks I have been dying to crack open a YA Contemporary Novel. So, thats what I did. I was kindly sent Ready to Fall by the guys at Pushkin Press and couldn't wait to get sucked into an emotional story of the contemporary kind. When he loses his mother to cancer, Max Friedman starts imagining that the tumour that killed her has taken up home in his brain. It's a horrible tenant - isolating him from his family, distracting him in school and taunting his maliciously. With the tumour firmly in charge, Max starts to slip away from reality. To help get him back on track, Max is sent to the artsy Baldwin School. There he befriends Fish, a girl with a troubled past and The Monk, who refuses to let go of things he loves. For a while, Max is happy but his tumour is always there, waiting. Until, one night it knocks him down and Max is finally forced to face the truth about how hard it is to let go of the past. 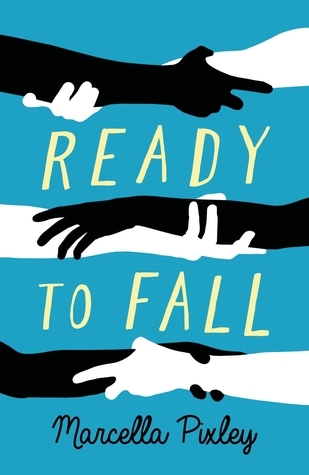 First things first - if you love any books by John Green, Rainbow Rowell or Jennifer Niven you will really enjoy Ready to Fall. 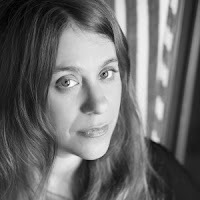 It has that feeling that you only truly get from books by those three authors and I felt really comfortable reading it. It was contemporary YA at it's best. I was fascinated by the story for the very beginning, even though I knew it was going to make me cry and it did but I will mention that a bit later into this review. Ready to Fall is not an easy, quick read. It's emotional, it's rough and it is slightly exhausting. However it is also beautiful and captures moments of joy in what is a bleak time. One thing that stood out was the way the topic of grief was handled. We saw Max dealing with it in such a realistic, yet somewhat strange way. He showed all the typical signs of grief such as withdrawal from loved ones, depression, weight loss and anger but also thought that his mother's tumour had jumped to him which I thought was a really clever way to show grief in a different, original way. Max's interactions with the tumour I felt had a lot of emotion in them which added something more to his grief. Max was a character that I had a lot of empathy for straight away. Yes, he was frustrating at times and I did find myself shouting at him to just go and get help but my heart broke for him as I knew he was in such a rough place. It was tough to read about his relationship with his mother and I did find myself sobbing (told you). His friendship with Fish was so adorable! They were two kindred spirits destined to find each other and in a way they both found solace from one another which was heartwarming to read about. Whilst we are on the subject of characters, I found myself warming to most of them especially Mr Cage, Max's Dad, Max's Grandma and Ms Pruitt. However, I did not like The Monk one bit. I found him to be a rude, obnoxious, twisted character who treated Max like dirt. In my opinion he wasn't worthy of being a friend of Max. I may have felt differently if I had learnt a bit more about his back story but there was hardly anything in the plot to go on. Ready To Fall was a beautifully written, emotional read and one that has stuck with me since. This book shows that although life isn't always the happiest, there is always something positive to be found. It is a perfect read for fans of John Green, Rainbow Rowell and Jennifer Niven, as already stated.